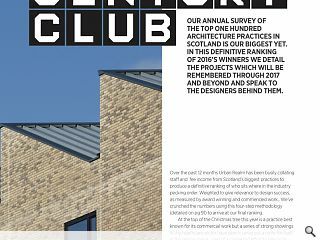 Our 2017 annual survey of the top 100 architecture practices in Scotland is our biggest yet. 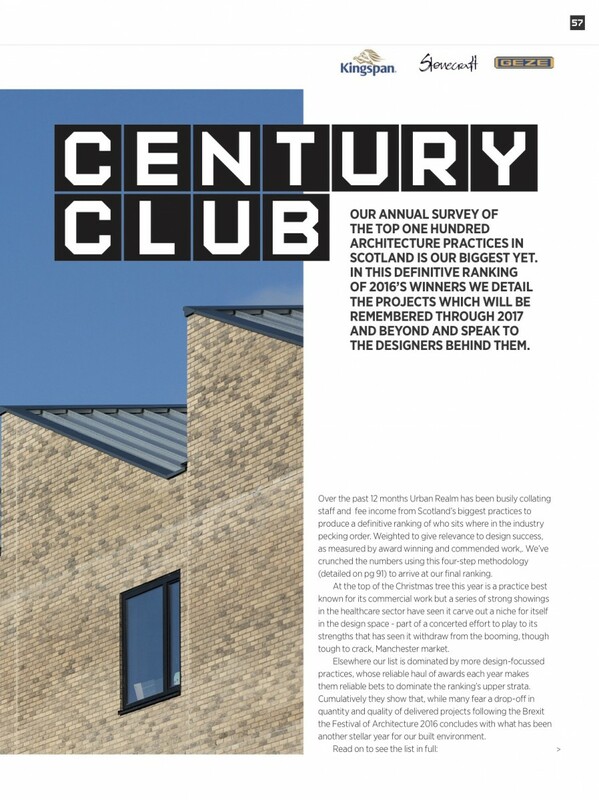 In this definitive ranking we detail the projects which will be remembered long after 2016 is all but a distant memory and speak to the designers who made the past 12 months a year to remember. Over the past 12 months Urban Realm has been busily collating staff and fee income from Scotland’s biggest practices to produce a definitive ranking of who sits where in the industry pecking order. Weighted to give relevance to design success, as measured by award winning and commended work. We’ve crunched the numbers using this four-step methodology to arrive at our final ranking. At the top of the Christmas tree this year is a practice best known for its commercial work but a series of strong showings in the healthcare sector have seen it carve out a niche for itself in the design space - part of a concerted effort to play to its strengths that has seen it withdraw from the booming, though tough to crack, Manchester market. Elsewhere our list is dominated by more design-focussed practices, whose reliable haul of awards each year makes them reliable bets to dominate the ranking’s upper strata. Cumulatively they show that, while many fear a drop-off in quantity and quality of delivered projects following the Brexit the Festival of Architecture 2016 concludes with what has been another stellar year for our built environment.